[traveling] I had the chance to costless visit Bangka Island. 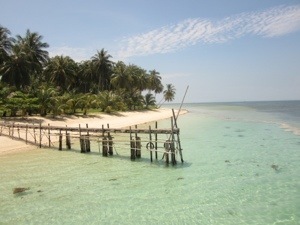 This island is located on the East side of Sumatra island. Formerly part of South Sumatra Province, now along with its neighboor island, Belitung island, it has become an independent province. 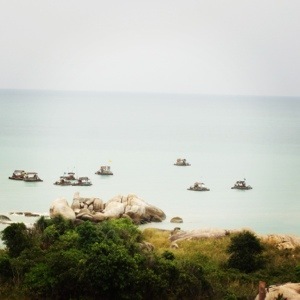 Anyway, do you see the small black boats on the photo? Yes, despite this pittoresque landscape made by their appearence. Those boats endangered the sustainable life of this beautiful beach. They are tin illegal miners who destroyed the land by digging the coastline layer everywhere. In 10 years ahead, I’m doubting that its beauty could still be admired.